Abstract: The original building at the entrance to the Accra Rehab Centre dates back to the 1950s when it hosted the Gold Coast Society for the Blind. Under the watch of former and first president Kwame Nkrumah, this plot of land was appropriated and reassigned as a site for rehabilitation of people with a range of impairments. By the turn of the century, ‘The Centre’ (in local parlance) had transformed into a hub of disability-oriented activity so that on any given day a steady stream of people would be moving about the compound engaged in attending self-help meetings, organizing press conferences, conversing in sign language, distributing white canes, or preparing for a wheelchair marathon. Over the decades, numerous national organizations established headquarters in the compound – such as Ghana National Association of the Deaf, Ghana Society of the Physically Disabled, and an umbrella group called Ghana Federation of the Disabled. This essay begins by asking how happenings at and around ‘The Centre’ help to tell a located history of disability. Following Mei Zhan’s use of “worlding” as an analytic, we can see that while ‘The Centre’ is located in Accra and ostensibly exists to serve Ghanaian citizens with disabilities, its history reveals an original and ongoing dynamic of translocality and globalization. It has always been fundamentally connected to points elsewhere. ‘The Centre’ itself can therefore be treated as an archive housing knowledge-making processes and products which help us to better understand how people with disabilities in global South contexts have created inhabitable worlds originally and continuously entangled with global North entities and individuals. This essay provides a brief history of the worlding of the Accra Rehabilitation Centre by treating it as an archive of disability happenings over the past sixty years. Located in the Adabraka section of the city directly across Barnes Road from the National Museum, and diagonally opposite the Holy Spirit Cathedral, in the early years of the twenty-first century people usually refer to it simply as ‘The Centre.’ Rectangular in shape, the grounds are lined on three sides by cement block buildings, and shaded by several sturdy trees including a prolific mango on the southern end of the compound. The oldest building dates back to the 1950s and still borders the western side along Barnes Road. 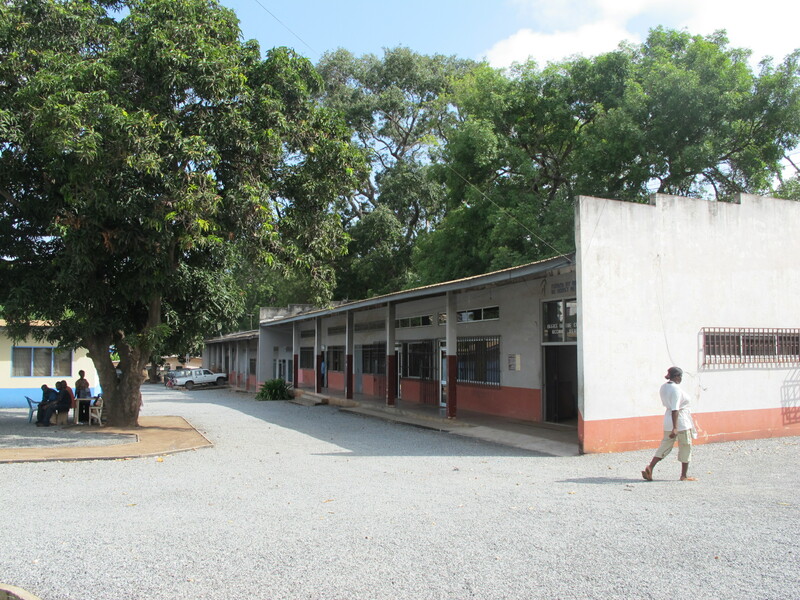 With a corrugated iron roof, it is a long ground level structure with gated windows and doors – behind which we find offices, a computer lab, a Braille press, workshops and a showroom for products, plus an income-generation venture in the form of a chalk-producing factory. 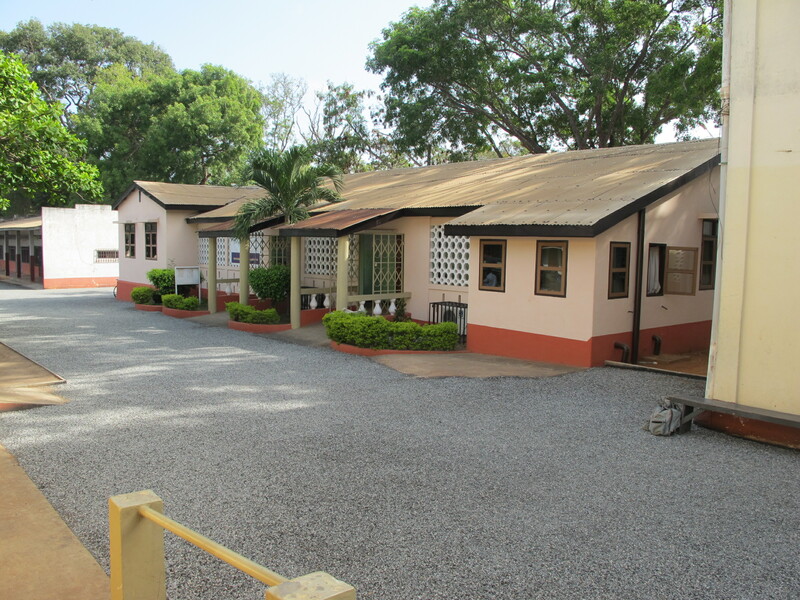 Figure 1: The original building of the Accra Rehab Centre, as it appeared in 2010. Photograph courtesy of James E. O’Neal. To highlight this archive’s original and ongoing dynamic of translocality and globalization, this essay emphasizes a kind of vortical flow I imagine enlivening The Centre over many decades. That is, centripetal forces have brought people from near and far to work on disability issues, and centrifugal forces have sent Ghanaian “disables” out in a far flung manner to play wheelchair basketball in New York City, to earn masters degrees in places such as Vermont, to perform in dance concerts in Germany and Spain, and so forth. To point to The Centre’s translocality means resisting methodological nationalism and instead tracing various disability-oriented populations that have circulated trans-nationally and helped to create the dynamism of this site. [iii] In this brief piece I will provide a smattering of examples of this vortical flow in an effort to better understand how people with disabilities in global South contexts have created inhabitable worlds originally and continuously entangled with global North entities and individuals. A prime piece of real estate by the beginning of the twenty-first century, this Accra-based site for disability assembly and organizing dates back to the early 1950s when the British Empire Society for the Blind leased the plot of land from a family. The Gold Coast was a former British colony that gained independence as the Republic of Ghana in 1957 under the leadership of socialist and pan-Africanist Kwame Nkrumah. The local chapter of the British Empire Society held their meetings at this location (Figure 2), and ran a vocational training program for blind men who boarded in an on-site dormitory. While I have not been able to confirm this with documentary evidence, several people told me that Kwame Nkrumah used to walk through the compound on his way to Parliament and stop to talk and learn about the activities blind rehabilitees were engaged in, such as the ball game displayed in Figure 3 or musical activity shown in Figure 4. Figure 3: Photo from the 1950s. Blind youth engaging in a ball game in the compound leased by the Gold Coast Society for the Blind. 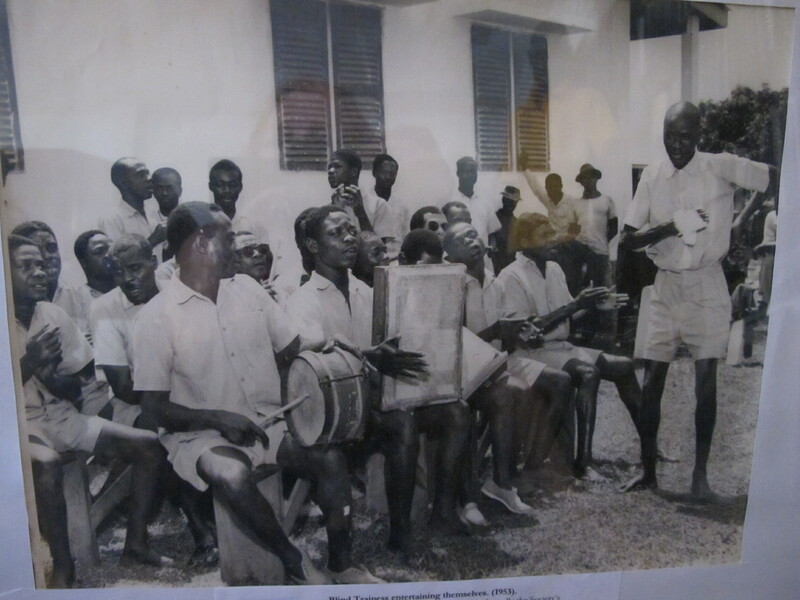 Figure 4: Blind residents at the Accra Rehabilitation Centre playing Ghanaian instruments. This interest may have stemmed simply from the fact that as Prime Minister and later President, Dr. Nkrumah served as patron of the Society for the Blind. [iv] Regardless of the origin of his concern for people with disabilities, in 1959 Nkrumah directed his Cabinet to the widespread problem of “disablement” throughout the country, and they immediately formed a commission to survey the problem. Sir John Wilson (Chairman of the Royal Commonwealth Society for the Blind) led the commission, and upon receipt of Wilson’s report, a “Rehabilitation Division” was established within the general structure of the Department of Social Welfare and Community Development. Historian Jeff Grischow demonstrates how Nkrumah and the Convention People’s Party saw rehabilitation as a critical step toward integrating disabled people into the workforce, which would thereby expand the supply of skilled labor and contribute directly to the nation’s economic growth. [v] The Centre, therefore, was taken over by the government and transformed from a singular focus on blindness to an industrial rehabilitation training unit engaging deaf and physically disabled individuals as well. At the same time as this intense drive to register people with disabilities and build up the Trust Fund chest, a few disabled people themselves were beginning to reject practices of pity and charity and organize instead around principles of self-determination. Since the mid 1940s a fair number of blind people had been able to attend school (see Appendix for timeline), resulting in an educated cadre who formed Ghana’s first DPO established and managed by disabled people themselves. Ghana Association of the Blind (GAB) was inaugurated on the 15th of December 1963 by Lawrence Ansong, Paul Dotse, and Ben Quaye who believed that blind people themselves could run their own organization. “Blind persons’ progress,” Mr. Ansong said they called it back then. He had been a student in the sheltered workshop of The Centre, and when I interviewed him and asked about those early days he emphatically said that GAB was different than GSB (Ghana Society for the Blind): “We did everything for ourselves; all officers were blind … it’s an association OF, not FOR the blind. It’s blind only. We do everything.” While the Society for the Blind consistently maintained offices at The Centre, it wasn’t until the early 1990s that GAB obtained the blue shipping container (Figure 5) for an office (prior to that they met at schools, private residences, etc.). When I interviewed Eleazar Plahah – long term leader in GAB and the Federation – he exclaimed, “I hope it is still blue!” They proudly and very purposefully maintain this structure, and in 2010 it was serving as a distribution site for white canes. 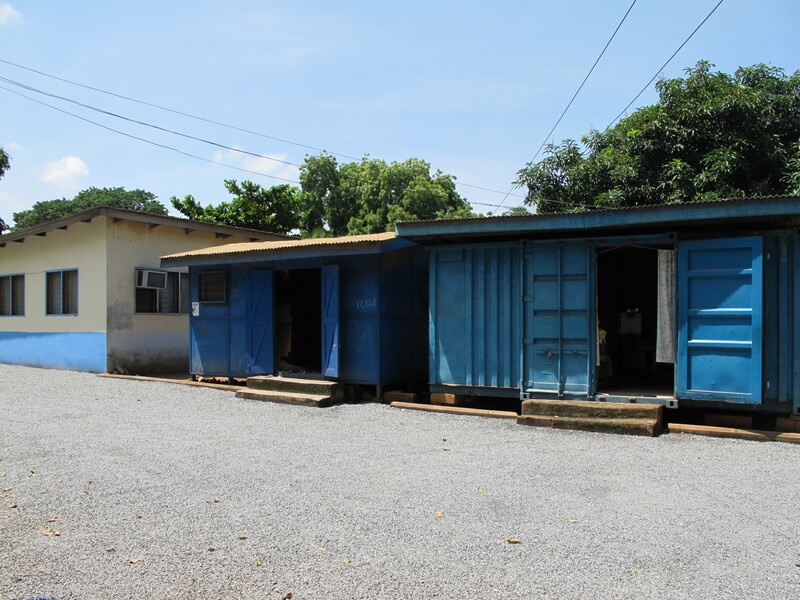 Figure 5: Blue shipping container on the right: Ghana Association of the Blind’s original office. Photograph courtesy of James E. O’Neal. The price of Ghana’s main export – cocoa – dropped dramatically in the 1960s, which eroded the basic stability of the nation’s economy, and this downward spiral persisted into the 1970s and 80s. People faced food shortages, extensive unemployment, deterioration of transportation infrastructure and communication networks, environmental degradation, and declining health and social welfare systems. What effect did this have on The Centre, on DPOs, and on the lives of PWD? Eleazar Plahar (who was leading GAB at that time) told me, “In 1983-84, that’s when we had our rule of the PNDC. So life was very difficult and most of the members who were coming [to meetings, to The Centre], they were coming because of items that you could secure. Our government was distributing items through organized societies.” The Centre became progressively dilapidated; no government agency took responsibility for its upkeep. What little attention it received came from the original renters – Ghana Society for the Blind – and this was through charitable giving on the part of a proliferating array of internationally sponsored NGOs. 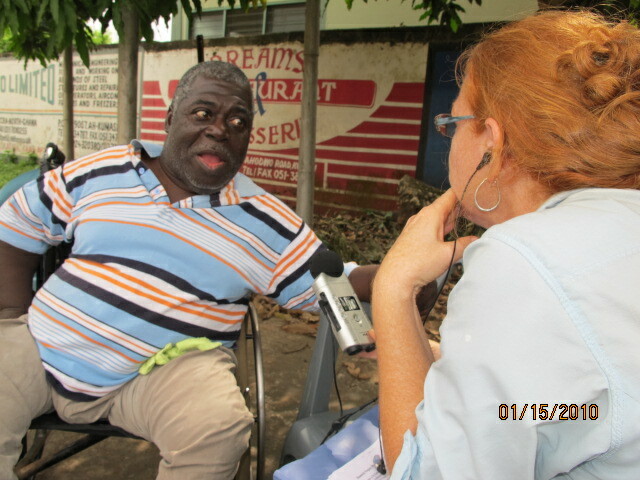 Figure 6: The author interviewing Attakora Asamoa in January of 2010. Photograph courtesy of James E. O’Neal. The UN Decade on Disability also mandated that as many countries as possible create legislation for PWD. To spearhead the efforts the UN required that a “federation” of disabled organizations be established. Dr. Essel Ben Hagan (one of the early leaders of GSPD) explained that leaders and representatives from all the DPOs were coming together during that time and eventually formed a steering committee to work on drafting a disability policy. 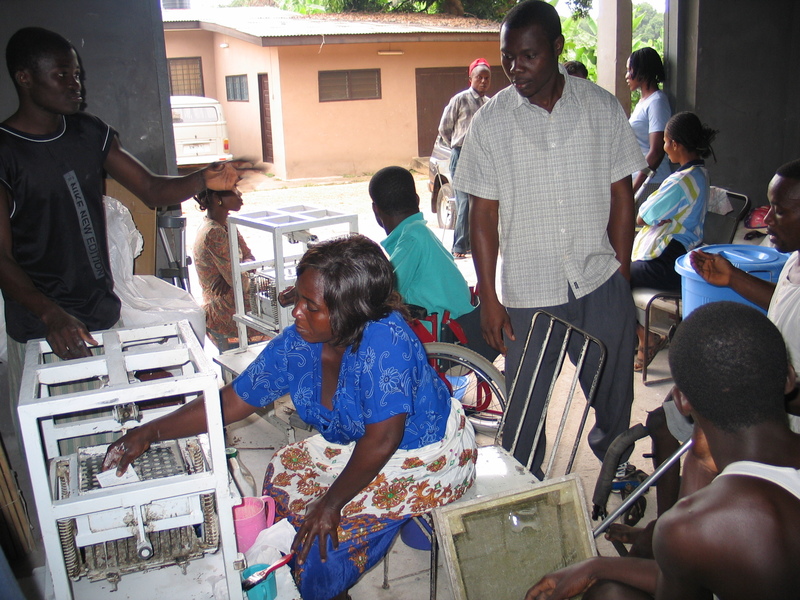 In the 1980s, there was a concerted effort at networking internationally and attracting donors and the formation of “Ghana Federation of the Disabled” came about with a fair amount of funding and technical support from NORAD – a Norwegian Development organization, and its associated group Handicap Foribund Society of Norway. They initially provided over 1 million dollars to set up Jachi Training Center, a site for rehabilitation as well as workshops on capacity building and awareness campaigns (located in the city of Kumasi). Ghana disability organizers then received another installment from Norwegian groups in 1988 and used it to set up the Federation of Disabled Associations (FODA), which was later re-named Ghana Federation of the Disabled (GFD) and re-located to an office at The Centre in Accra. In 1992 Ghana adopted a new constitution. It contained some minimal language about disabilities in that Article 29 noted the “need for PWD to be protected … [and] made to feel an integral part of society.”[ix] Disability organization leaders considered these few words, which focused on protection rather than rights, to be woefully inadequate. So, in the words of Lawrence Ofori Addo, they “started a process of developing the National Disability Policy and the Act in the draft form … [We began] moving up and down until finally, we were able to get those things together.” The Centre was a major staging ground as PWD spent the 1990s working on strengthening DPOs (capacity building), on creating Community Based Rehabilitation initiatives (decentralization), and on lobbying the government to pass the Disability Act (legislation). 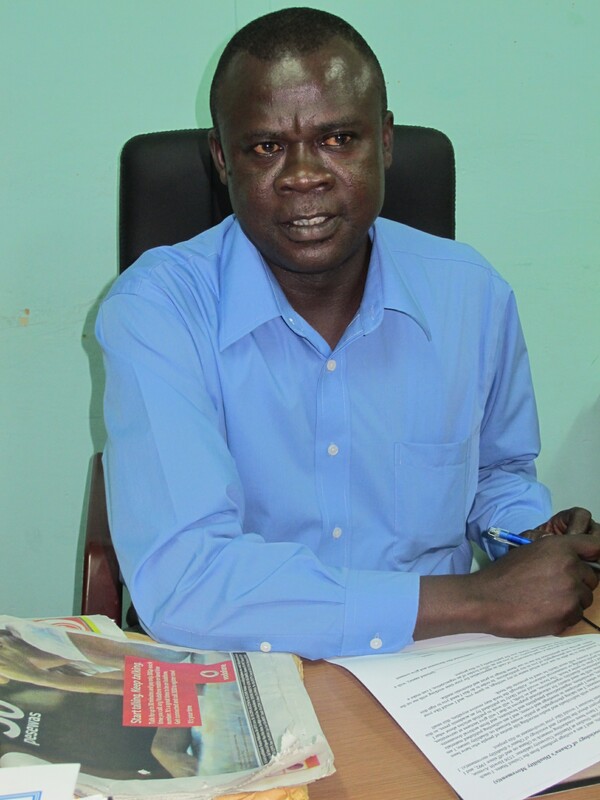 In my interview with Lawrence Ofori Addo, he discussed the role of CBR during the years 1992-96: “I coordinated the introduction of the Community-Based Rehabilitation Program, which was a joint project between UNDP and two Scandinavian NGOs – the Norwegian Association of the Disabled and the Swedish Handicap International Aid Foundation – SHIAF. Deliverables from that project were the development of the National Disability Policy and then the Disability Act.” Here we see the “fundamental connection to an elsewhere”[x] that made and continue to make up the world of Ghana’s disability rights movement and The Centre. Lawrence Ofori Addo explained that “we had support from the disability movement in Scandinavia” to “allocate some of the funds” for “development of [disabled peoples] organizations.” Ghanaian DPOs have been globally entangled from their inception, and so creation of The Centre’s inhabitable worlds simultaneously created NGO-scapes where numerous actors from global North contexts have made and continue to make a living. Figure 7: Lawrence Ofori Addo, Department of Social Welfare. Photograph courtesy of James E. O’Neal. During the first decade of the 21st century, The Centre was a hub of activist energy aimed at political and social changes that would create better worlds for people with disabilities. Like a vortex, it spawned and preserved emergent forces. Several income generation ventures were launched from The Centre, most notably a chalk-making factory, which produced jobs for a small number of individuals allowing them to enter the formal economy for the first time in their lives (see figures 8, 9, and 10). It was difficult for the business to compete with cut-rate prices of chalk imported from China, however, and the factory has recently gone into demise. 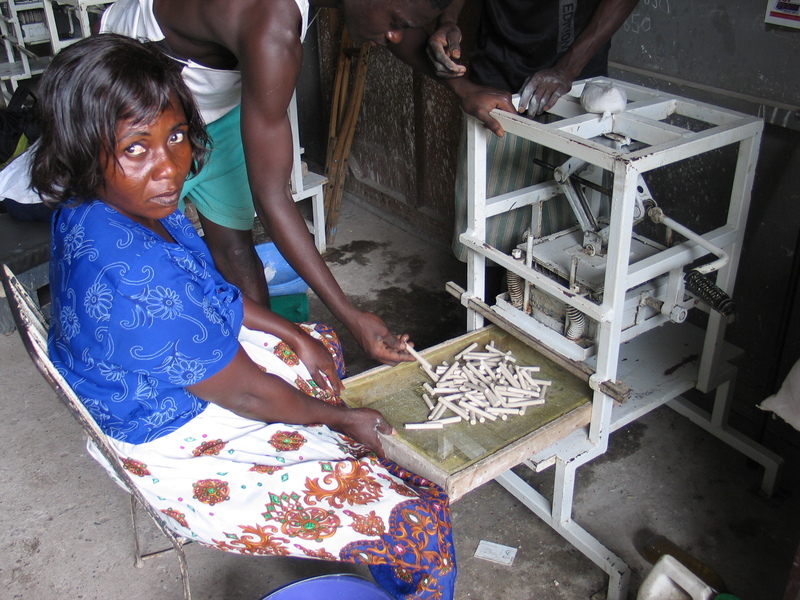 Figure 8: Cynthia A. Boateng, a member of Ghana Society of the Physically Disabled, working at the chalk factory in July 2005. Photograph courtesy of James E. O’Neal. Figure 9: Cynthia’s colleagues looking on as she makes chalk. Photograph courtesy of James E. O’Neal. 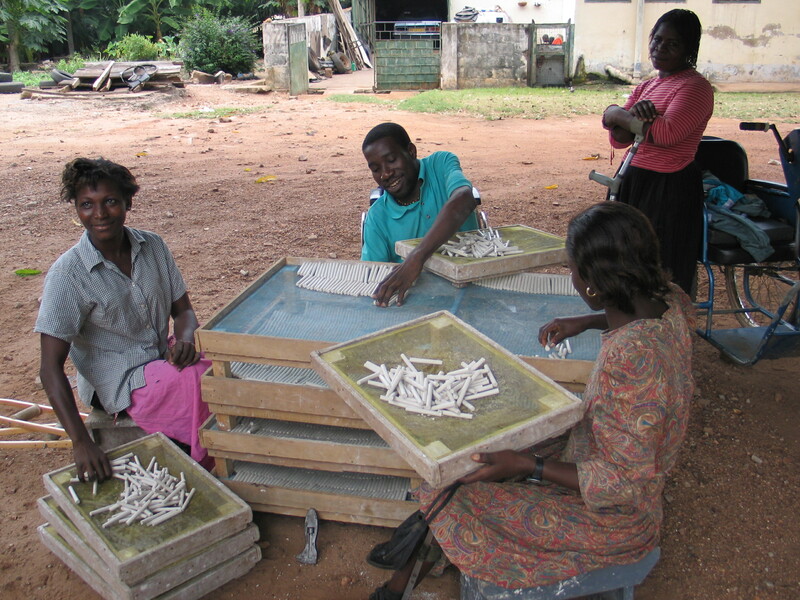 Figure 10: Ellen Afriyie, Mutala, and colleagues organizing the chalk. Photograph courtesy of James E. O’Neal. Several new DPOs formed and joined Ghana Federation of the Disabled: Parents Association of Children with Intellectual Disabilities (in 2001); Society of Albinos Ghana (in 2003); and Sharecare Ghana for people with rare neuro-immunological diseases (in 2006). In addition to this centripetal motion that spontaneously formed new disability groups, The Centre had its centrifugal motion as well with the Federation attracting an 80,000 pound grant in 2005 from Rights and Voice Initiative (RAVI). 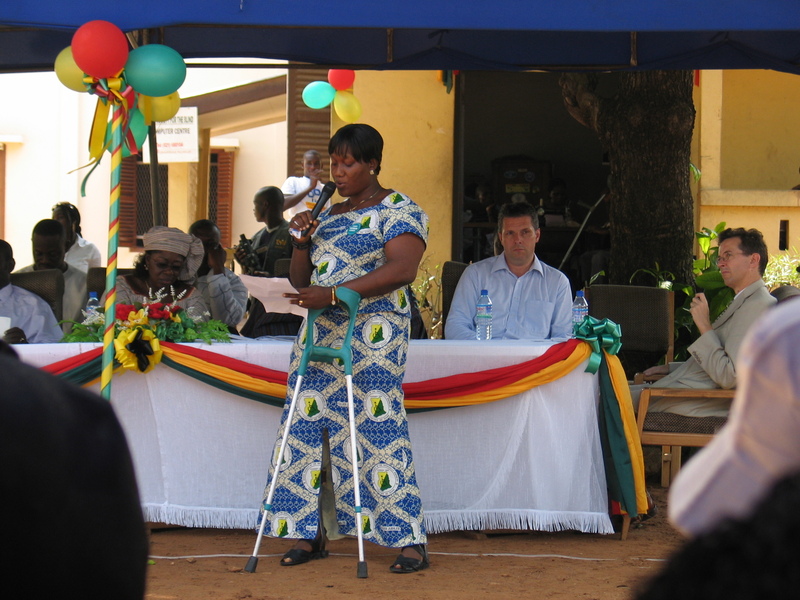 Funds were earmarked for two years of advocacy and lobbying, and on the 23rd of June, 2006, Parliament finally passed Ghana’s Disability Act (Act 715). One of the first actions required by the Act was to form a National Council on Persons with Disability (based, in part, on the National Council on Disability of the United States). A year later, however, no council was even in sight, and at the launching of a National Disability Day (on the anniversary of passage of the Act), numerous people lamented the snail’s pace in getting the council set up. It was not until 2009, in fact, that members of the National Council on Persons with Disability (NCPD) were presented to the public. Figure 11: Banner strung over The Centre’s main gate. Photograph by the author. Figure 12: Sefakor G.M.A. Komabu-Pomeyie speaking at the 23 June 2007 anniversary of passage of the Act. A long term disability rights activist in Ghana, she recently received a Ford Foundation International Fellowship to earn a degree in Policy Analysis and Advocacy at the SIT Graduate Institute in the U.S. Photograph by the author. Figure 13: The Centre in 2010 immediately after the grounds had received a facelift. Photograph courtesy of James E. O’Neal. 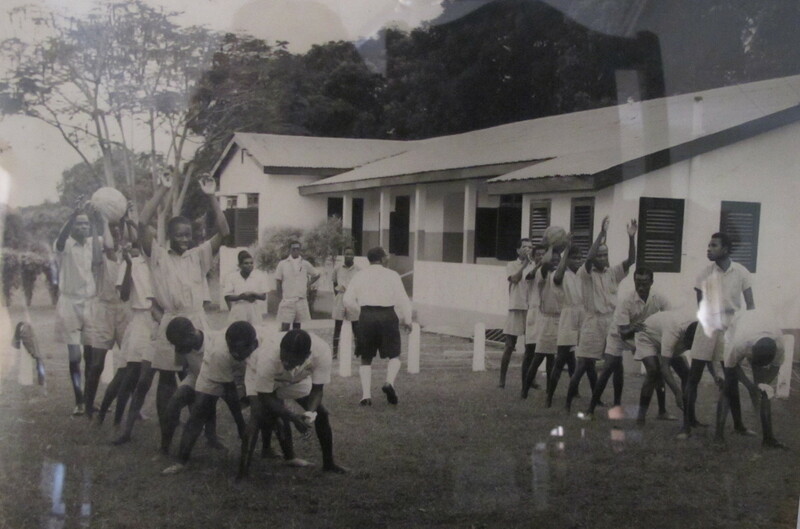 1945 Establishment of the Akropong School for the Blind in the Gold Coast. 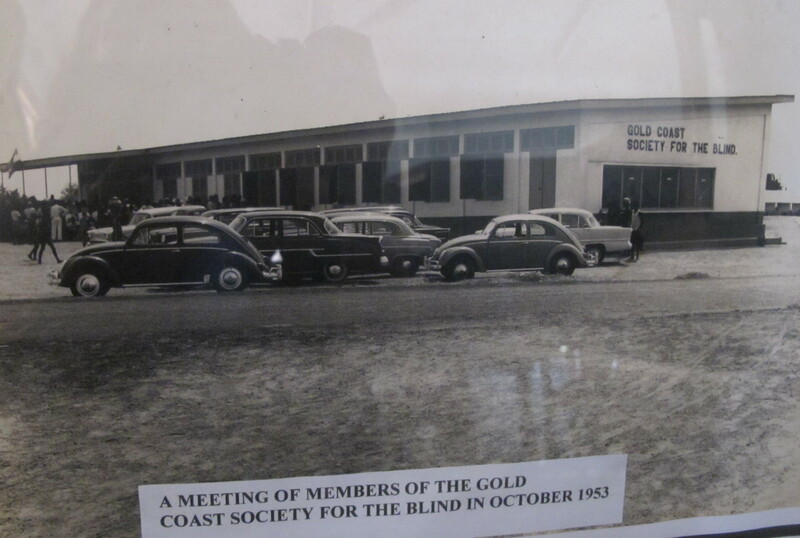 1951 Opening of a branch of the British Empire Society for the Blind in the Gold Coast. 1957 Gold Coast achieved independence from British rule on the 6th of March. 1958 First School for the Deaf established in Osu (Christianborg) by Rev. Dr. Andrew Foster. The school was later relocated to Mampong Akwapem in the Eastern Region. 1963 On 1st February, 1963, the Industrial Rehabilitation Centre in Accra was opened. Ghana Association of the Blind was formed on 25th December. 1968 Ghana National Association of the Deaf (GNAD) established. 1980 Formation of GNASOC: Ghana National Society of the Crippled (which was later changed to GSPD: Ghana Society of the Physically Disabled. 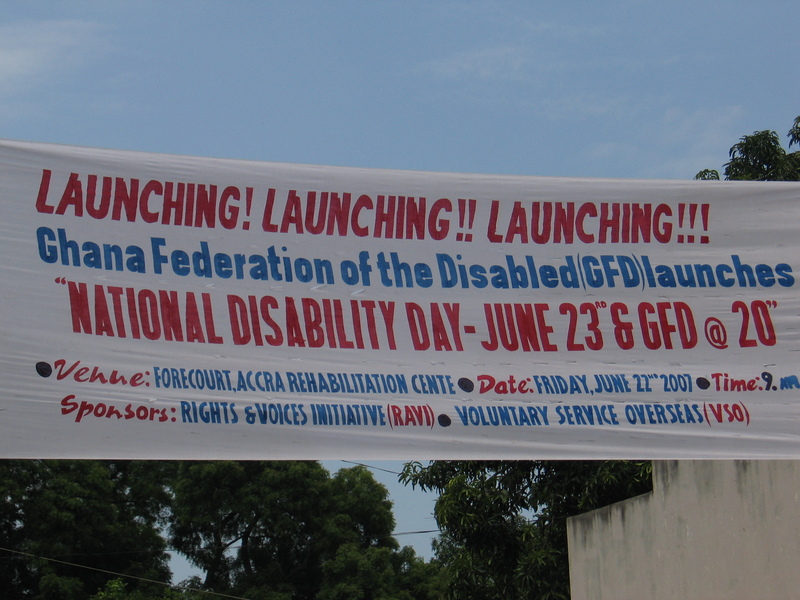 1987 Formation of FODA: Federation of Disabled Associations (later renamed GFD: Ghana Federation of the Disabled). 2001 Formation of PACID: Parents Association of Children with Intellectual Disabilities. 2003 Formation of SOAG: Society of Albinos Ghana. 2006 Disability Act (Act 715) was passed by Parliament on the 23rd of June. Sharecare Ghana: an association for people with rare neuro-immunological diseases was also formed this year. 2009 Members of the National Council on Persons with Disability (NCPD) were presented to the public on the 7th of April . My essay title was inspired by Simone AbdouMaliq’s 2001 piece “On the Worlding of African Cities” in African Studies Review 44(2):15-41. [i] The term “disables” most likely came into existence as a Ghanaian English rendering of “disabled.” It is used quite unselfconsciously by most, but when I have asked individuals about how it came about, some suggest it is a result of “illiteracy” and a kind of “broken English” spoken by people without much formal education while others argue it is used by members of the movement in an identity claiming capacity to mean “People with Disability.” One way or another, rather than being a pejorative term, it is either fairly neutral or quite positive in this context. [ii] Achille Mbembe and Sarah Nuttall, “Writing the World from an African Metropolis,” Public Culture 16, issue 3 (2004): 347-372. [iii] Translocality stems from Arjun Appadurai’s globalization theory. See especially chapter 9 of Modernity at Large: Cultural Dimensions of Globalization published in 1996 by the University of Minnesota Press. [iv] For additional ideas about Nkrumah’s interest in disability, see Jeff D. Grischow, “Kwame Nkrumah, Disability, and Rehabilitation in Ghana, 1957-1966,” The Journal of African History, 52, issue 2 (2011): 179-199. Grischow suggests that Nkrumah was acquainted with Sir John Wilson who was not only blind himself but also a founding member of the Royal Commonwealth Society for the Blind. This personal connection may have influenced Nkrumah’s interpretations of a finding that a majority of “beggars and destitute citizens” had various disabilities (p. 187). [v] Grischow, ‘Kwame Nkrumah, Disability, and Rehabilitation in Ghana’, 198. [vi] “Accra Disabled Centre Opens” Daily Graphic, page 5, February 1, 1963. [vii] Matthew Kohrman, “Why Am I Not Disabled? Making State Subjects, Making Statistics in Pose-Mao China,” Medical Anthropology Quarterly 17, issue 1 (2003):5-24. [viii] See paper delivered at Society for Disability Studies conference, June 20-23, 2012: “Creating a Political Community” to Marshall Change: Origin Stories told by Disability Rights Activists in Ghana, by Kathryn Geurts. [ix] From a publication titled Public Agenda: Decentralisation Agenda (3 July, 2008). [x] Mbembe and Nuttall, ‘Writing the World from an African Metropolis’, 351. [xi] This piece is a necessarily brief exploration of issues that are taken up in a book I am currently working on tentatively titled Disability Sensibilities in Metropolitan Accra 1950-2010. Professor Kathryn Linn Geurts has been teaching at Hamline University in Saint Paul, Minnesota, since 2002. Her anthropological research focuses on investigating bodily experience – not through a Western lens but through a West African perspective. Her monograph Culture and the Senses: Bodily Ways of Knowing in an African Community concerns the cultural construction of sensory orientations among Ewe-speaking people in Ghana. At Hamline University she teaches a range of courses that engage the burgeoning scholarship about bodily and sensory experience and the socio-political effects of a physicalist bias in global culture. Geurts K. On the Worlding of Accra’s Rehabilitation Training Centre. Somatosphere. 2015. Available at: http://somatosphere.net/2015/on-the-worlding-of-accras-rehabilitation-training-centre.html/. Accessed April 25, 2019. Geurts, Kathryn Linn. 2015. On the Worlding of Accra’s Rehabilitation Training Centre. Somatosphere. http://somatosphere.net/2015/on-the-worlding-of-accras-rehabilitation-training-centre.html/ (accessed April 25, 2019). I have read this essay with interest. This is great work! I had expected to learn more about the GNAD (Ghana National Association of the Deaf) in this Centre where people with different disabilities come together. Any thoughts/data about the situation/place of GNAD in the Centre? I’m especially interested in this because of the different language used by deaf people (GSL or Ghanaian Sign Language) – I noticed that several disables know GSL but I also imagine that the difference in language might lead to a gap (in communication and interests) between deaf and blind/physically disabled people. Great work and wonderful pics. I’m a journalist currently working on a project which has to do with disability in Ghana, Is it therefore possible to use some of the archive pictures on this article, of the Accra rehab centre and I would obviously credit the website? it would be much appreciated. Please email me back.